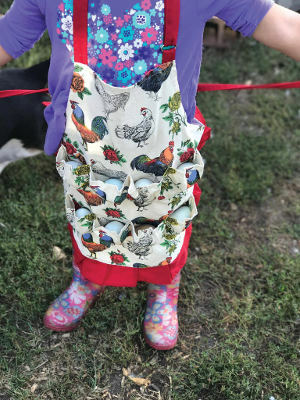 Grab your boots and this apron and head to the coop. Or better yet, have the kids do it. Individual egg pockets protect the eggs enroute. Better then an egg basket because they dont roll together or get dropped. Its happened to all of us. Kids aprons have 8 pockets. Adult has 15.